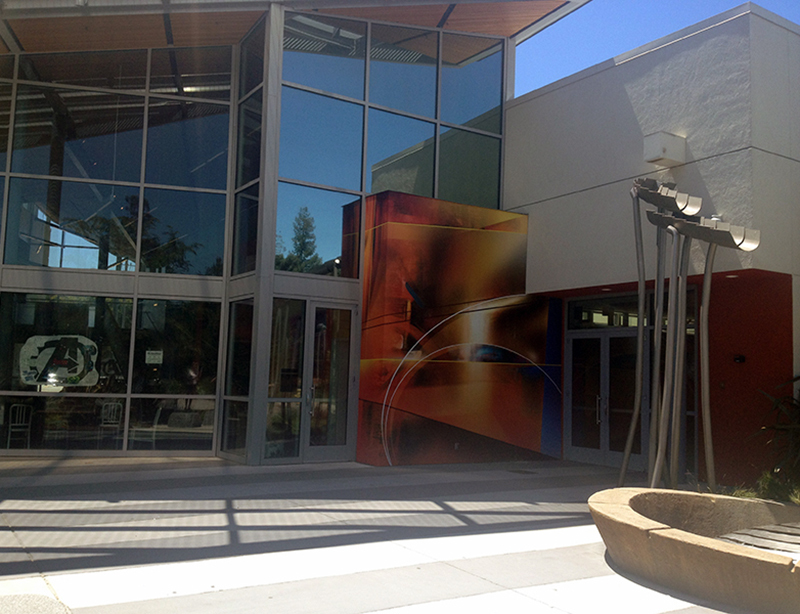 The Roosevelt Community Center is located at 901 E. Santa Clara St. and is a new 30,000 square foot facility serving the residents of the downtown area. Roosevelt boasts a spectacular state-of-the-art community room with views of the park; a fitness center with both cardio and strength equipment; dance studio; preschool classrooms; computer lab; art room; a hip youth center that features the latest video gaming equipment, a computer lab and homework center as well as general use classrooms. Mural by Scape Martinez in collaboration with the Digital Mural Lab. Print production and installation completed by DML.